Don't have time to sit down for breakfast or lunch? Rushing to work or to the gym and need a protein boost? Not happy with the protein options at the coffee shop? It's easy now to get protein on the go. With great new food and snack innovations, you can get healthy protein in delicious clean snacks that will keep you going throughout the day and won't slow you down with unnecessary ingredients. Here's are our picks for loading up on protein with the least amount of effort. Plus, shopping these clean snacks on Treatmo App (available on iTunes) makes it convenient to keep them in stock so you aren't left empty handed. Plant-based chips that provide 15 grams of clean protein in a 4 oz bag. Made with pea protein, they're crunchy and delicious and come in a variety of fun flavors. They are non-GMO, only 120 calories and have zero guilt! 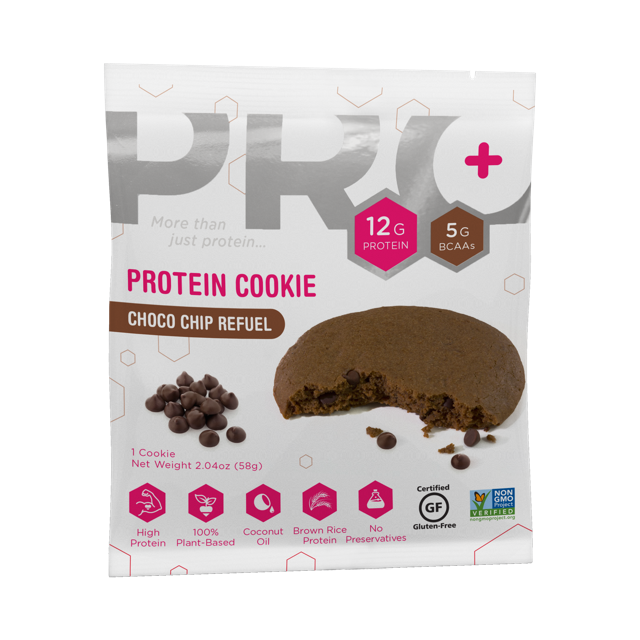 Using brown rice protein, these chewy protein cookies are plant-based, clean, and provide 12 grams of protein in just a 2 oz package. They have coconut oil, no preservatives and are gluten free. This is more than a cookie. It is daily fuel. Cashews are high in protein--22 grams per cup--and contain positive mood boosting compounds. Along with a variety of other nutrients, cashews are so easy to snack on and about as clean as you can get. The cashews from Nuts+Nuts have a completely different flavor from the cashews you may buy at the supermarket. They are sourced from small farms in Indonesia and carefully roasted with flavor and freshness in mind. Added flavor comes from real food like sesame seeds or chili and lime. The taste pops in your mouth. With four different styles, you'll have no problem consuming your protein for the day. Try the Chili Lime! There's even more protein snack options on Treatmo App. Protein on the go from clean energy snacks is in reach on Treatmo App. Download Treatmo (available on iTunes).